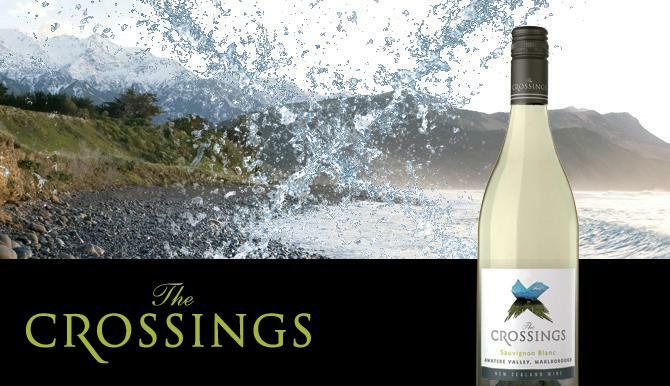 The Crossings wines are grown and crafted in the Awatere Valley, Marlborough, New Zealand. Although the rugged, unspoiled Awatere Valley is not a place for the faint-hearted, its harsh conditions bring rare rewards for winegrowers... and people who enjoy wine that goes beyond the usual. And even within the Awatere Valley, The Crossings vineyards are something special.he Awatere Valley is the southernmost, coolest and driest of the three Marlborough winegrowing sub-regions. The Awatere Valley lies to the south of the Wither Hills, between the Black Birch Range and Inland Kaikoura Range, with the cool water of Clifford Bay to the east. Gouged out by ancient glaciers, the Awatere Valley has lots of rock debris and a rich diversity of soil structures. These vary from alluvial stony deposits close to the Awatere River, to glacial outwash soils and the distinctive grey clay and limestone mix known as Grey Marl. The climate in the Awatere Valley tends to be more extreme than other parts of Marlborough. The region is battered by strong winds, it is significantly drier and temperatures are generally lower. The diurnal temperature variation in the Awatere Valley tends to be more extreme too, with very hot days followed by cold nights. This effect is most pronounced at sites further from the coast. Despite these challenges, adventurous winegrowers started growing grapes in the Awatere Valley in the late 1980s. The soil types and weather in the Awatere Valley conspire to slow down the ripening of grapes grown here, creating even more intense fruit flavours and fresher, crisper acids than elsewhere in Marlborough. You can taste these qualities in wines grown on The Crossings vineyards.